At LifePoint Crossing our kids experience safe, age-appropriate environments where they learn about Jesus in a creative and relevant way. Our LifeKids have worship time, craft time, and story time each week. We offer classes for infants through fifth grade at each service. Each class is taught by a trained volunteer who is excited to share Jesus’ love with your little ones. Nursery is for children up to two years old. Our preschool class is for children 3 years old through kindergarten. Our older kids attend “The Crate” class for first through fifth grade students. Check-in begins 15 minutes prior to each service, or at 8:45 AM for first service and 10:15 AM for second service. We continue to check in children for 10 minutes after each service begins. Before Service: You will check-in your child at our LifeKids desk and one of our volunteers will print matching name tags that are exclusive to your family. Your child will need to wear the name tag portion while you hold on to the matching tag. During Service: In the event that we need to contact you during the service, we will text the number provided during check-in, or simply come to the service to get you.  LifePoint youth meet together on Sunday mornings during our 9:00 worship service and twice a month of Sunday evenings from 6:00-7:30. They also have several events and special activities throughout the year, like movie nights, bowling, and other fun stuff. This program is for sixth through twelfth graders. Ryan and Hallie McCord lead our youth program. They are passionate about teaching and a great source of encouragement and leadership for our our young adults. Hallie McCord is our lead nursery volunteer. She ensures all our nursery helpers are trained and excited to keep our youngest LifeKids safe, happy, and engaged on Sunday mornings. Tammy Edgmon is our lead early childhood classroom volunteer. She helps make sure all our volunteer teachers and helpers are ready to play, worship, and learn with our preschoolers and kindergarteners. Kimberly Moore is our Student and Family Director. She oversees our children and youth programs and is passionate about helping families point children to Jesus. Jan Franz leads our older LifeKids classroom for first through fifth graders. She helps our volunteers engage with our kids and has so much fun teaching this fun group. If you have other questions concerning our LifeKids experience or visiting LifePoint Crossing with children, simply click the button below and get in touch with us!